This listing is for 10 Seashell and Starfish Soap Favors perfect for tropical beach weddings, bridal showers, summer fun pool parties, luaus, mermaid themed birthdays or just for fun! 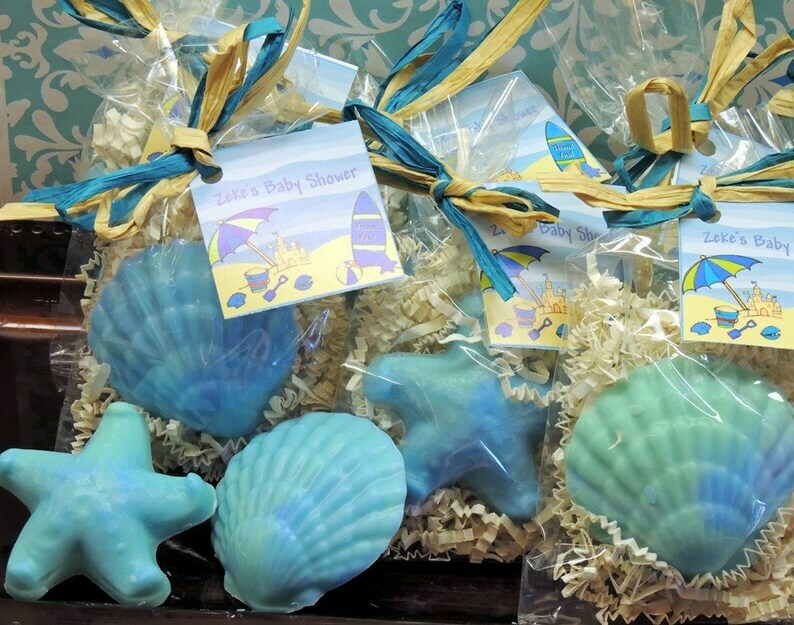 You will receive 5 star fish soaps and 5 seashell soaps. These pretty soaps are shown in blues but can be done in any colors to coordinate to your party colors. Seashell Soap measures apx 2 3/4" tall and wide, and Starfish Soap measures apx. 2 1/2" tall and 2 1/2" wide and 1" thick. Each Party Favor includes one soap packaged in a cello bag. 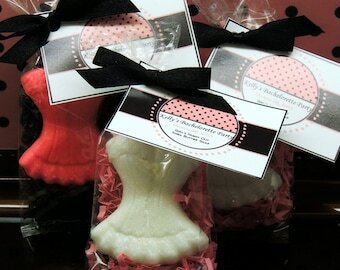 Choose one scent and up to two color combinations for your soap favors. (shown is aqua and light blue). We can make these in just about any color and color combo. 2) SOAP COLOR(S): Choose up to two colors to be swirled for your set of 10 favors- we can make these in just about any color combinations you would like. LIST SHOWS BLUE AND GREEN. 3) SCENT(S): See Scent List (last picture) - choose one scent per order.